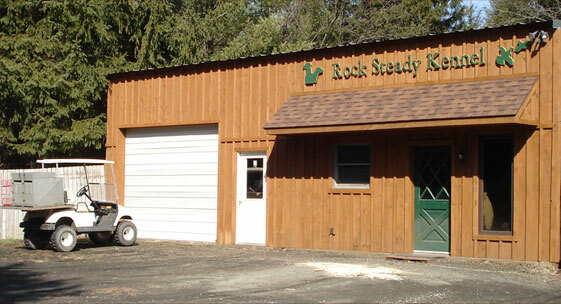 Nestled in the mountains of northern Pennsylvania in prime grouse and woodcock country, Rock Steady Kennel has been selectively breeding, raising and training Brittanys for over 25 years. We take pride in the fact that each new dog owner is pleased with how intelligent and well tempered his or her new Brittany gun-dog is. Our Brittany puppies are introduced to the Bio-Sensor or “Super Dog” Program at an early age. This is a method the military developed to improve the performance of their dogs by using early neurlogical stimulation excercises. We think you will be pleased with a Rock Steady puppy as an excellent hunting partner and companion for the rest of his or her life. Rock Steady Kennel and Supplies online store coming soon! 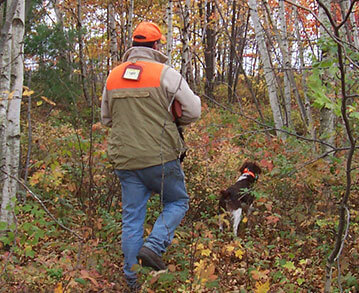 We love our bird hunting and are very passionate about our bird dogs as we know you are. We are hard at work creating an online store that will help enhance the upland hunting experience for you and your K-9 companion. We will be offering the best gear for you and your dog’s needs at the best value. Help us create the new Rock Steady Kennel and Supplies online store. Tell us the brands, products and services you would like to see in our store. We want you to share your ideas. Send suggestions to rocksteadykennel@hotmail.com. Please check back frequently to see our store or sign up for our email and stay up to date on the latest products. We also offer ground shipping for your new puppy if you are too far away or can’t get away to pick him up. Contact us for more info.